Now you may have noticed that posts have been a little sparse around here, so i thought i'd do a little explaining so you know whats going on and you know i'm not abandoning it all! So within the past few months i have had exams, built up a new line of handmade clothing, lingerie and swimwear (posts in the works to tell you all about it - so excited!) and had to deal with my ongoing long distance relationship. All of this has been rather stressful and hasn't really left much time for blogging or youtube. This has all meant that when i do get round to it, it can feel much more like a chore rather than something i actually enjoy and love, which is how it should be. I've posted when i've felt like it, but i feel like taking a step back and having a bit of a break has motivated me all the more to carry on with blogging and really put all my effort into it now that exams are out of the way and i can relax a little bit more. Another thing which has stopped me from blogging so much has been confusion about which direction i want to take my blog in. I have a huge love for makeup and i have a hell of a lot of it to talk about, but writing review after review gets a bit repetitive and boring for me, so it kind of loses its fun. Then i was thinking about completely becoming a fashion blog, but i know i'm far too lazy to consistently get ready every day all nice to take blog photos. 60% of my time is spent in pjs/lounging clothes/without makeup on so that was a no go too. I didn't really know where i belonged in the blogging world, but i think i've now found what i want to do. I've decided that i'm going to post on mondays, wednesdays, fridays and saturdays. Mondays and fridays are to be beauty related, then wednesdays and saturdays fashion related. This then gives me 3 extra days where i can either post, or not post if its feeling too much and too stressful. It also means on those days i can post about whatever i like, be it more beauty or fashion, or a lifestyle kind of post, which i do really want to include more of. I'm also probably only going to focus to 'Edit' style beauty posts rather than single product reviews, as i find it a little daunting to talk about one product solely in a post, unless its something i really really love, as i just don't feel like i know enough to be helpful! I want my blog to be more about me in general and what i love, rather than being focused around one specific topic. I like to be able to get to know a person by reading their blog, and so thats the direction I'm going to take mine in. When it comes to youtube, i'm still a little lost. Taking on too many things overwhelms me, but i know that i really love making youtube videos as its where i started out. i think the same split will go on over there, with some casual week in outfit videos, hauls and get ready with me's. I think i put too much pressure on myself to have everything perfect, which is why i can sometimes not post as i feel it won't be interesting or high quality enough! Really need to get over that. At the moment i have planned to post videos on thursdays and sundays, which i'd really like to stick to, as it allows me to post more than one type of video a week. Now that its summer hopefully i can get filming some of my outfits as they're some of my favourite videos to film. 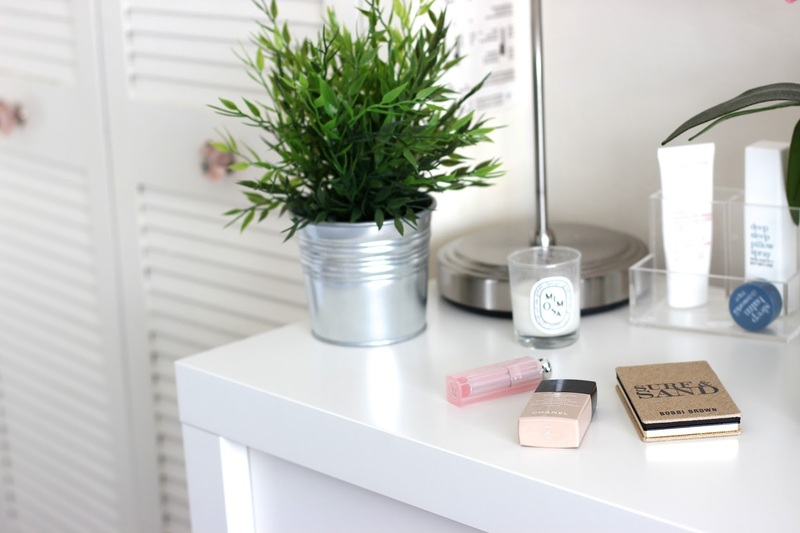 I hope this post wasn't too waffly, let me know what you think of my new blogging schedule, and give me ideas for posts you'd like to see in the future, be it makeup or fashion! The Style Post: Jeans in Summer? A Long Awaited Hair Change. © Danielle Jasmine | Fashion, Interiors and Lifestyle | All rights reserved.